It might be difficult for your body to replenish all its basic nutrients from diets, so supplements are needed to prevent ill health and restore the recommended daily intake of vitamins and nutrients. The health of every individual as they grow old is of more concern than that of younger people. Staying healthy requires a well-functioning mind, body system, bones, tendons, and joints. It may be common to find aging signs that trigger joint discomfort, and there may be daily supplements that can ease this condition. More so, there are natural ingredients that help to boost mobility and lubrication, and overall joint health. What is Flexezy – GC? 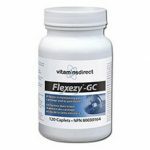 Flexezy – GC is a blend of a proprietary formula meant to ease painful joint conditions and provide other benefits according to the manufacturer. One of the main aims of this medication is enhancing connective tissues (tendons, cartilage, and ligaments), and areas around the joint. More so, consumer reviews show that the capsules help in inhibiting the activeness of certain enzymes that could cause joint tissue damage. Who is the Manufacturer of Flexezy – GC? The medication is manufactured by the W.T Rawleigh brand – the research, health, and Wellness Company. The brand emphasizes the need to consume medications that come from safe sources. However, they deal with trusted retailers to market a range of their health formula. This product of 120 capsules has two active ingredients in a pack; it’s a proprietary blend of fast-acting formulations that serve one month’s dose. How Does Flexezy – GC Work? Joint pain may have no cure, but treatments might be available for old and young people. The product works by using a blend of active ingredients for overall joint health. It helps your body to repair torn muscles and tendons and gives a fast-acting relief. Insufficient lubrication, torn tissues, cartilage, and inflammation can cause discomfort, and deny the joy of a youth lifestyle. However, what Flexezy – GC supplement does is suppress pain, and restore strength to your joints. Flexezy – GC Ingredients – Are They Safe and Effective? Two active ingredients in this potential pain-relieving formula preserve tendons, ligaments, and surrounding joint areas. Glucosamine HCL – It exists as amino sugars in the body (also a component of seashells) and depletes, as we grow old. The ingredient may also help to strengthen cartilage, reduce tissue inflammation, and aches from osteoarthritis. An important function of this ingredient is the padding (cushioning) of cartilages at the joints to increase their level of shock absorption upon severe impacts. Chondroitin Sulfate – This is a natural component in the structure of cartilages, and may make Flexezy – GC active. When sulfate combines with glucosamine, there will be a slow degeneration of cartilages. More so, inflammations that trigger joints and muscle aches are treated with this ingredient. Magnesium Stearate – This ingredient might provide strong structures for joints and their surrounding areas in the body. Microcrystalline Cellulose – This may help to build flexible joints and increase lubrication. Propylene Glycol – This may prevent joint tenderness by increasing lubrication of the cartilages and joints. Titanium Dioxide – This ingredient may provide relief for arthritis aches and preserves the health of the cells in the joints. What are the Advantages of Flexezy – GC? What are the Disadvantages of Flexezy – GC? Consumers might not get instant relief of joint pain without completing a reasonable dosage. The supplement has the potential to be addictive after using the pills regularly. Growth and repair of ligaments and tissues might be slow even with the consumption of these pills. The pills shouldn’t be used alone when you want faster results. It is recommended to massage affected areas of discomfort with fast-relieving gels or sprays. How Should You Use Flexezy – GC? As directed on the label of the pack, there are 120 capsules for 30 days. However, the daily dose is a serving of two caplets (660mg). How Much Does Flexezy – GC Cost? According to the product’s official website, a pack of the medication costs approximately $39.59 (CAD; $30.47 USD), and it excludes the cost of delivery. What is Flexezy – GC’s Return Policy? Buyers can return the product within 30 days of purchase if they are not satisfied. However, the manufacturer will not accept any claim outside the 30-day period. Does Flexezy – GC Offer a Free Trial? The manufacturer of this joint health product doesn’t offer a free trial version for consumers. However, buyers can enjoy the advantage of the return policy. The manufacturer has made many joint pain-relieving claims with this product. Other claims from online consumer reviews show how the product promotes joint health and prevents deterioration of tissue, tendons, and cartilages. There are no details concerning other lists of ingredients on the official website of this product. There are many other products similar to this formula that can offer faster reliefs. Inflammation, pain, and sore areas around the joints may be eliminated, but nonsteroidal, anti-inflammatory drugs (NSAIDs) are effective remedies. Aging is a process that naturally triggers painful joints. However, Flexezy – GC pills may help to fortify connective tissues, lubricate joints, and increase flexibility. There are other effective joint pain supplements available at affordable prices, in our opinion. Bones are connected by joints, which allow us to move with ease. Joint damage may cause pain, preventing you from doing the things you once loved. Many conditions lead to joint pain from aging to an untreated sports injury. A quality joint product may help repair existing tissue damage and possibly promote stronger joints, less susceptible to future degeneration.